The World of Business Journalism Abigail Summerville, a business journalism major, interned on the CNBC.com breaking news desk. 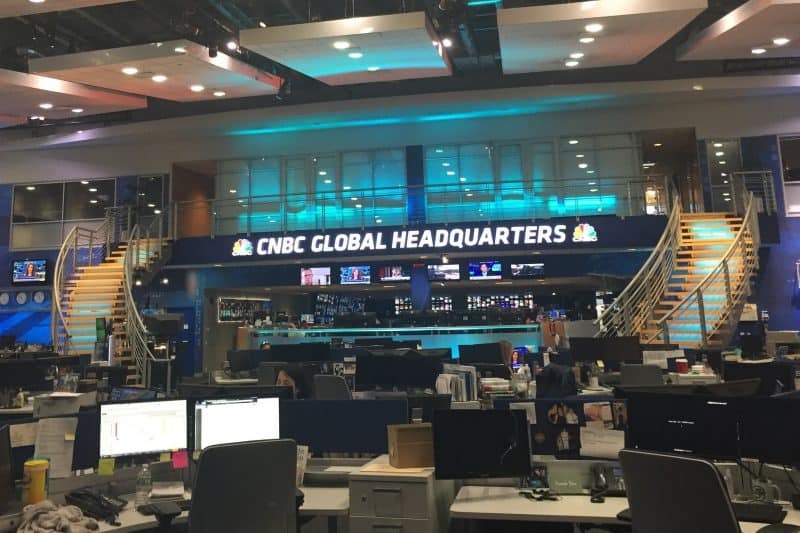 CNBC Global Headquarters, where Abigail Summerville spent some time as an intern during summer 2017. CNBC is the recognized world leader in business news and provides real-time financial market coverage and business information to approximately 385 million homes worldwide. It has a TV station as well as a website. I interned as a journalist for the online side, specifically the CNBC.com breaking news desk. Working on breaking news allowed me to cover such a wide range of topics, and helped me hone in on what beats I really enjoy covering. I also got the opportunity to spend three weeks with the personal finance section, where I got to write more long-form stories relating to personal finance. A story I wrote about how half of homeowners have buyers’ remorse was the site leader for the day and got hundreds of thousands of views. However, some of my favorite articles I wrote were ones that I pitched myself. Some were about college, tech, the environment and the cannabis industry. CNBC holds “lunch & learns” for the interns where they provide us with free food and get a prominent figure within the company to come speak to us and answer our questions. I made sure to ask at least one question of every speaker. I got to hear from CNBC’s CEO Mark Hoffman, who gave us invaluable advice about how to make it in business journalism. I also got to hear from Jim Crammer, the host of CNBC’s “Mad Money,” after we got to sit in on a live screening of his show. Other speakers were anchors, reporters, editors and producers. I felt the most challenged when I was working on multiple stories on deadline. I really had to prioritize articles, manage my time and remember all the steps in creating a story. Also, the most nerve-racking types of articles were those that could move stocks, because if I reported an incorrect number or fact, some investor could sell stocks based on my false information and then blame me for their financial loss. I was living in New York City all summer, although the CNBC headquarters are located in Englewood Cliffs, N.J. The company provided a free shuttle service that I took to and from work. I loved living in NYC for three months. Previously, I had only visited for a few days at a time and I had to jam-pack as many touristy activities as I could into a short amount of time. I really felt like I got to explore the whole city and experience what it’s actually like to live in a city on my own. Definitely. I knew I was interested in business journalism, but I was unclear on what aspect within that field I wanted to focus on—online or TV, producing or writing, editing or anchoring, etc. Working at CNBC this summer helped me focus on what I really can picture myself doing for the rest of my life. I learned that I really love writing for online, although I am still open to trying out producing and exploring the TV side as well. My journalism classes really prepared me for all the writing I had to do. 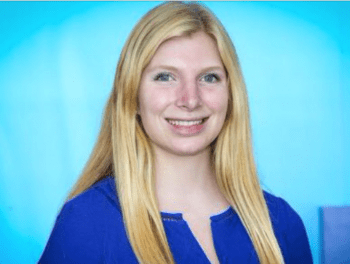 Not having to focus on AP Style or how to form a lede, which I already learned how to do from my classes at W&L, allowed me to pay more attention to tailoring my articles to CNBC’s style and learning how to use their software. Also, writing and editing for the Ring Tum Phi definitely helped me, too. As for the business side, all of my economics and accounting classes prepared me so that I fully understood what I was writing about, because one of the most important skills a business journalist needs to know is how to explain complicated things in simple terms.